Monument Valley is a photography trip of a lifetime! 12th Annual M.V. Workshop! Ancient Anasazi Ruins! Full Moon! 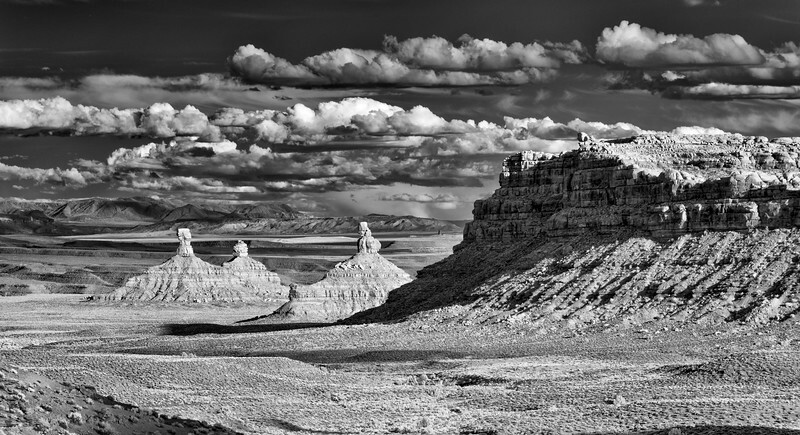 Join Keith Skelton on a five night, six day workshop where you will photograph free standing sandstone rock forms that rise majestically 1,000 feet from the desert floor. We will teach you how to tap into your creativity so that you return home with many memorable photographs. Daily discussions about pre-visualization, seeing color, composition, exposure and techniques. You will learn how to capture traditional and abstract landscapes. This is a place to enjoy nature and culture on a grand scale. Keith Skelton is a professional photographer and educator with over 35 years of experience. He has an extensive background in landscape photography techniques and aesthetics. You will get individualized instruction and one-on-one attention. You will be taught how to capture the best images possible on either film or digital. Limited to 12 students. Note that there is moderate hiking that may involve scrambling up smooth rocks. Please make sure you are in good physical condition and able to walk at least two miles over rocky and sandy surfaces. Some areas we visit are remote. We will photograph a full moon rise over Monument Valley! NEW! Mystery Valley with Navajo guides. NEW! Slot canyon with Navajo guides. We won't be photographing Lower Antelope Canyon as it doesn't allow photo tours and tripods any longer. We will have Navajo guides to Antelope Canyon X and/or Secret Canyon. NEW! North side of Lake Powell toward Alstrom Point in the Grand Staircase-Escalante. The Valley of the Gods. 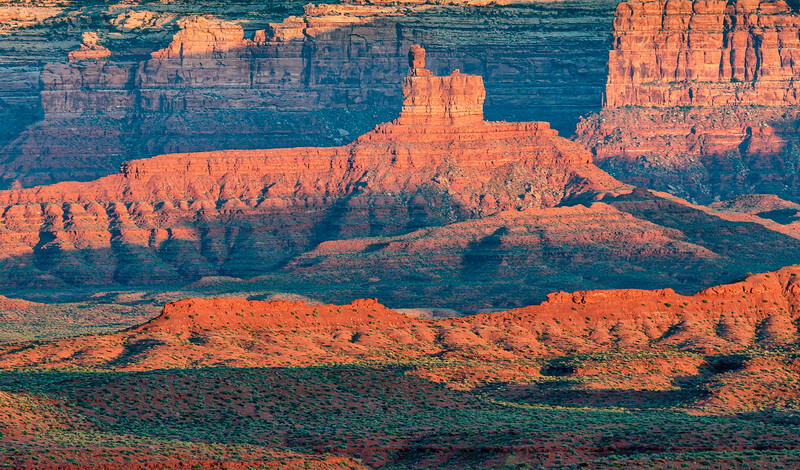 Note that this is part of the designated Bears Ears National Monument. Anasazi Ruins “House on Fire” or “Fallen Roof” (Depending on trail conditions) in the Grand Gulch Primitive Area. Most ruins are between 800-1200 years old. Horseshoe Bend. (We do not plan on seeing Horseshoe as a group because of the recent changes to the area including tour buses and a wall. If you desire to see it you should plan on adding a extra day to your itinerary). We will meet in Page AZ. on April 16 to photograph the Slot Canyons, Hoodoos and North side of Lake Powell toward Alstrom Point in the Grand Staircase-Escalante. After two nights in Page we will drive to Mexican Hat, Monument Valley on April 18th for three nights. The workshop should be completed by 10 am on April 21. Page AZ is a full day drive from Los Angeles, 275 miles from Phoenix, 130 miles from Flagstaff and 275 miles from Las Vegas. Mexican Hat (Monument Valley) is 142 miles from Page. ACCOMMODATIONS: Please make your own motel reservations in Page AZ Quality Inn for two nights April 16 and 17, or a motel of your own choice. I am holding reservations at the newly remodeled The Hat Rock Inn in Mexican Hat for three nights for the first 9 participants (April 18, 19, 20). Rates at Hat Rock are about $140 per night and $130 in Page AZ. You do not need to contact the motels if you are using my reservations. But please advise me if you want to make your own motel reservations someplace else. The Hat Rock Inn is located in Mexican Hat, Utah, 22 miles North of Monument Valley on the North side of the San Juan River just off of Highway 163. MEALS: The group usually eats together but it is not required. Many meals will be at The San Juan Inn just because it is close and there are not many other restaurants to choose from. CARS: A high clearance SUV is recommended but not required. We will take turns car pooling once we get to our destinations. COST OF THIS WORKSHOP is $1095. Former student discount price is $975. We can arrange a spilt payment if needed. You are responsible for all travel, guides, rooms, and meal costs. The price for the Navajo guides to Secret Canyon is currently $110. The price for the Navajo guides Mystery Valley tour is currently $125-$150. Note that admittance to the Slot Canyon is dependent on weather conditions. You will either pay the guide companies upon arrival or California Photography Workshops directly. Scroll down for former student discount. WHAT TO BRING -Any cameras you think you might use or need. This includes, film, digital, infrared, small compact, video, 4x5, etc. It is always good to have some sort of back up camera. Bring any and all lenses. You may or may not use them all, but it is better to be safe. I use a 16-24mm, 24-85mm, 70-200mm and 200-500mm. Many people like polarizing filters or "grad" filters. Bring some sort of camera bag or camera back pack for carrying equipment, water, and snacks. A “normal” zoom (24-70) is a good choice for the slot canyon. If there are monsoon storms in the area we will photograph lightning. Consider bringing a lightning sensor that allows the camera to capture lightning in daylight. I use the Lightning Trigger and the Patch Master. A lightning trigger is the only way to capture lightning in broad daylight. Accessories such as cable release, lens tissue, EXTRA batteries, battery chargers, camera manuals, film, EXTRA memory cards. You should have at least 60 GIG of memory. A STABLE tripod for long exposures and one you can hike with. Sturdy shoes or light boots are recommended.